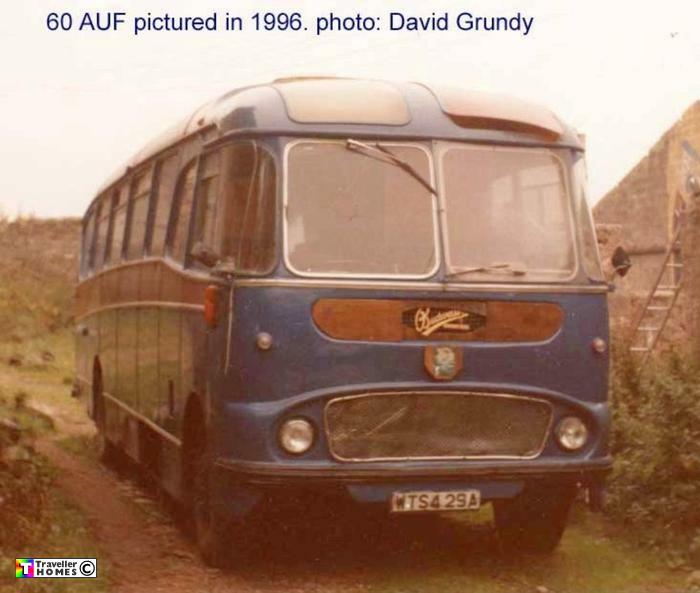 WTS429A 60AUF (1962) Commer Avenger . Harrington Crusader 1 C35F. Ex-Southdown 60 . Seen 1996 ? Not sure who owned it when this photo was taken ? Later rescued in a derelict state in 2000 from a farm to use as spares for Southdown 70 by Marc . photo = David Grundy via Harrington Website .